We're all on the same page when it comes to the straw bag obsession, so here is another unique piece to store in your shopping cart. 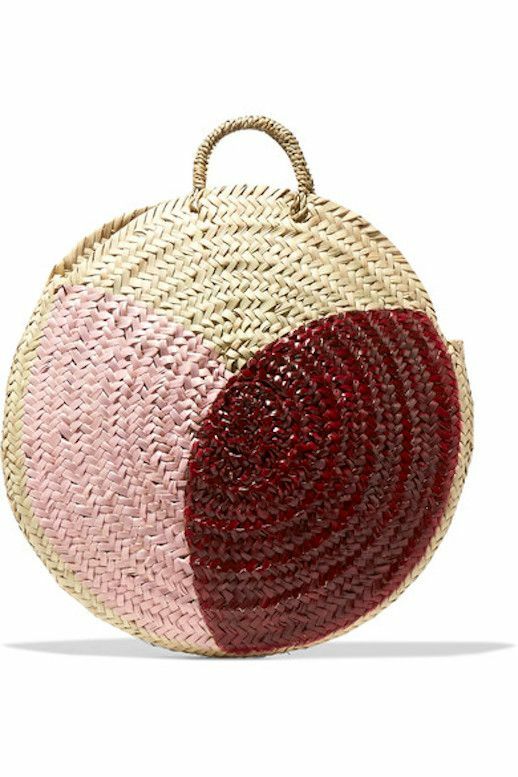 Not only is this bag different in its circular shape, but it's also hand painted in pink and burgundy. Who doesn't want a bag that plays with both art and current trends?